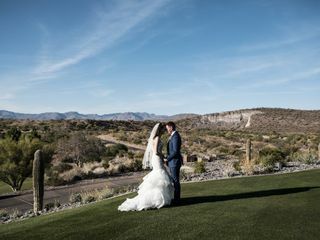 Wickenburg Ranch Golf and Social Club is a full-service wedding venue and golf course located in Wickenburg, Arizona, among a picturesque desert landscape. 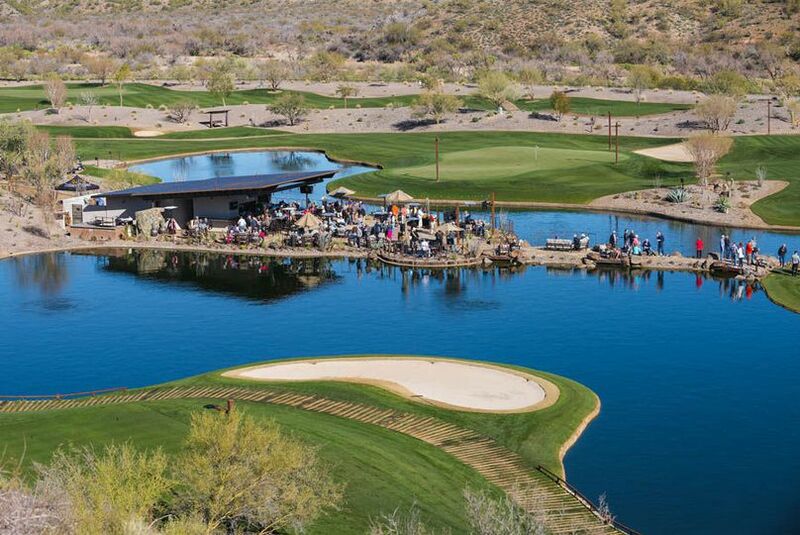 The venue offers panoramic views of the Bradshaw Mountains, Vulture Peak, and the championship golf course. 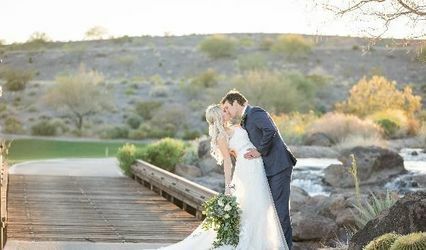 Wickenburg hosts wedding ceremonies and receptions within this unique setting that exudes rustic charm and modern day amenities, paired with exceptional cuisine, all at affordable prices. 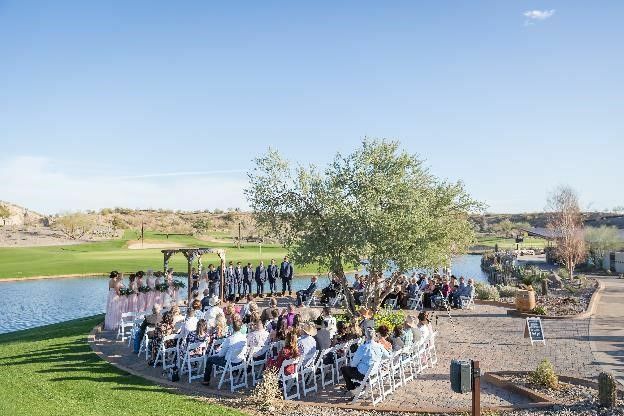 Wickenburg Ranch Golf and Social Club provides a number of locations at the venue to host an indoor or outdoor event for up to 200 guests. 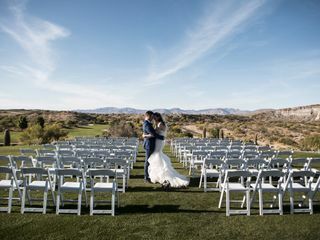 You can say "I do" outdoors on the Event Lawn, overlooking the 18-hole golf course and surrounding mountains or on the Ceremony Terrace, which is among two lakes. 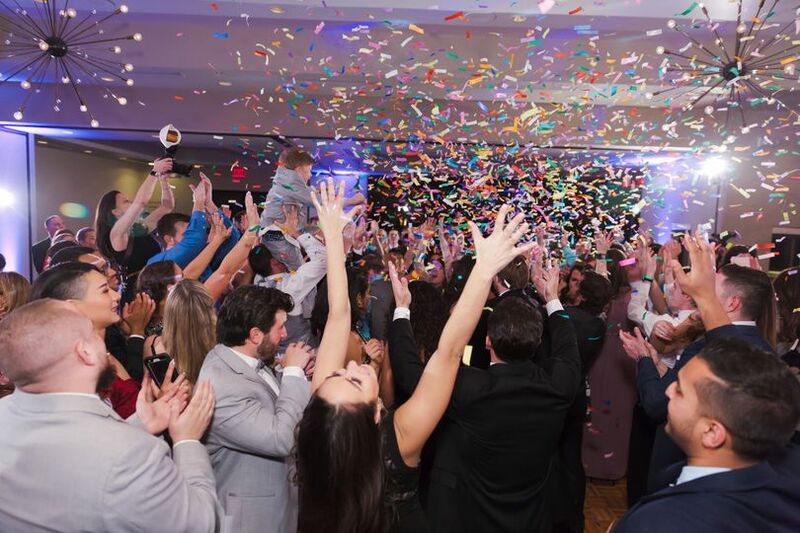 Then you can move indoors to the 3,000-square-foot ballroom, the Event Hall. 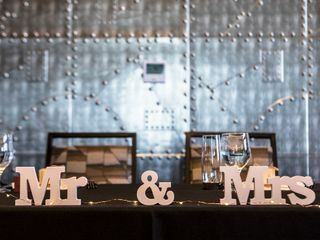 This space can be easily customized to fit your wedding decor and theme. The large windows look out over the beautiful landscape as well. 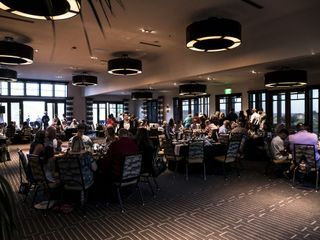 Another outdoor option is the Watering Hole, which is a cozy bar and grill surrounded by water and the views of the par-3 golf course, Lil Wick. 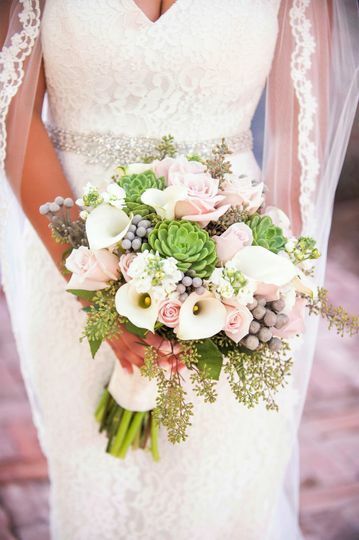 On the day of the wedding, there are get-ready rooms available on-site for you and your wedding party. 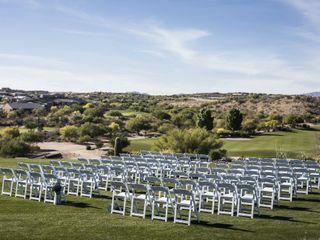 The venue is also wheelchair accessible and has parking. Tabitha and the Ranch went above and beyond making our rehearsal dinner more than I could have imagined. 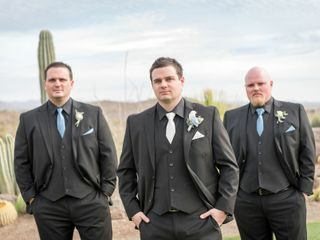 We came in from out of town and wowed the family on both sides with an amazing venue not to mention the food was equally amazing. Thank you for the beautiful evening!! 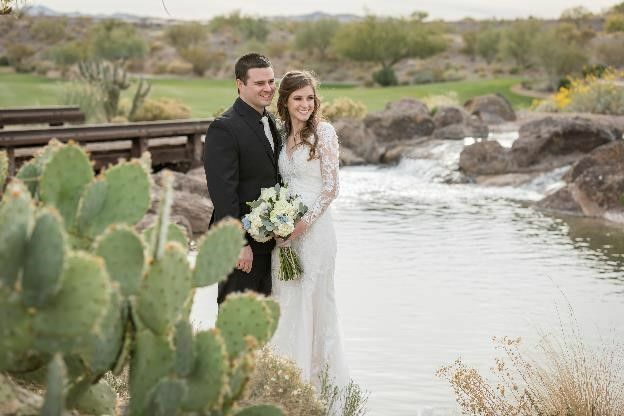 Words cant put together how amazing Wickenburg ranch made my wedding! 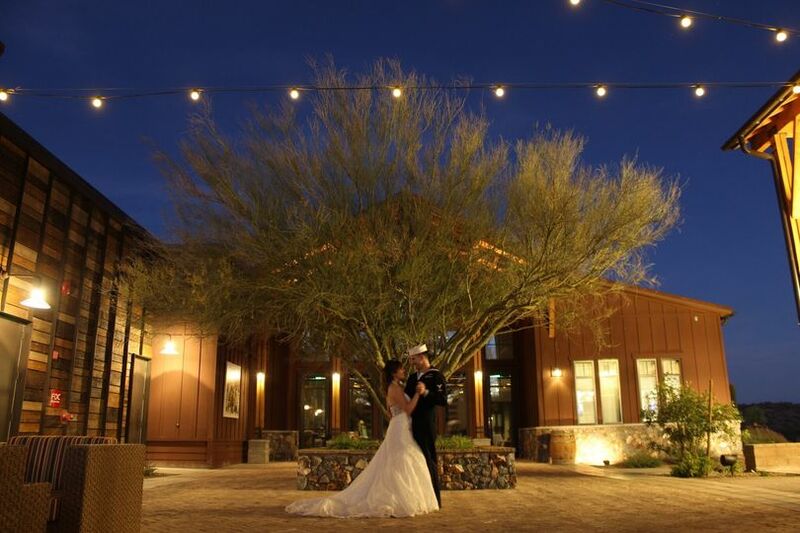 My husband and I had our rehearsal dinner and wedding at this venue. 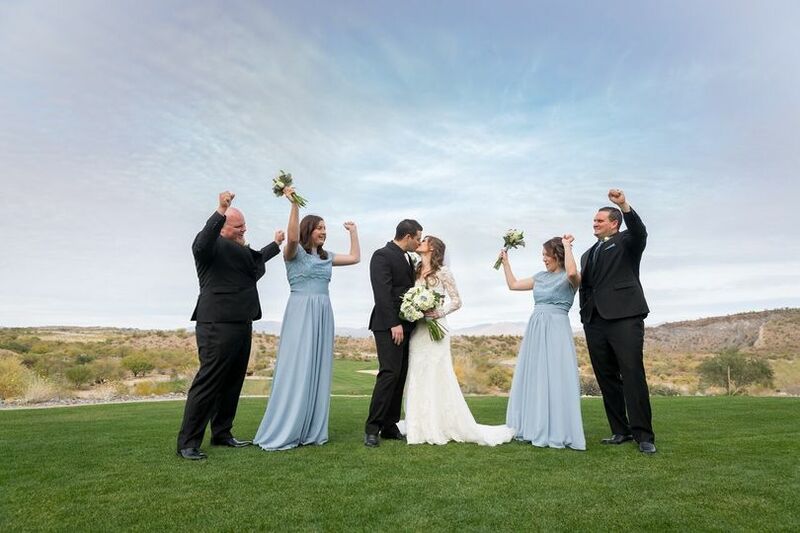 We had about 95 guests and the wedding was in early May. 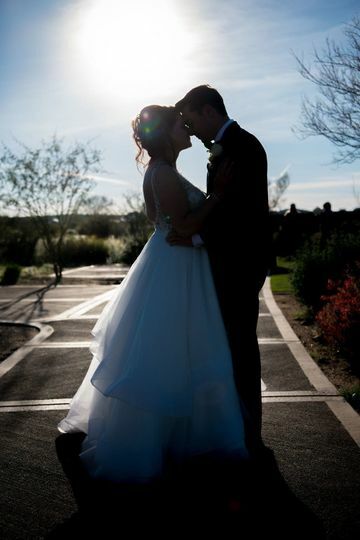 Once my wedding weekend started I had no worries or stress about my wedding. Janet the event coordinator was amazing she would answer all my questions in no time, she also went above and beyond for us. 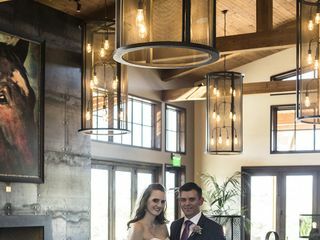 All my wedding guest were shocked about the venue they kept asking us how we found this venue and amazed with the beauty, also so many compliments on the food. We went with a buffet option and it was so good, very fresh, and full of flavor. 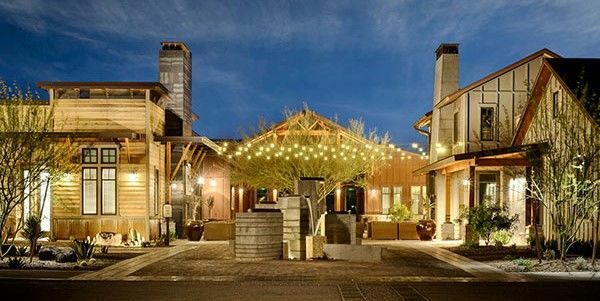 With so much love and thanks, Thank you the Wickenburg Ranch team. The customer service was exceptional and the food was fabulous. 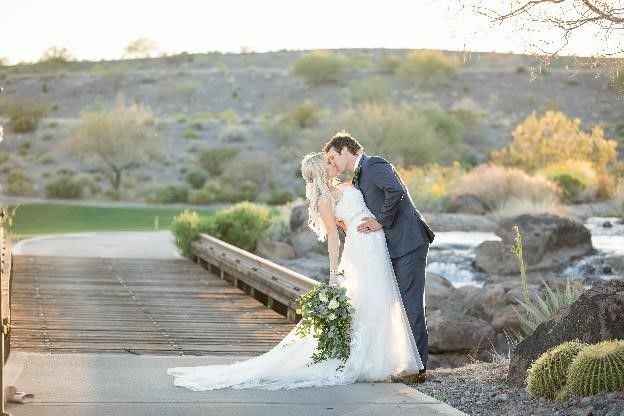 The setting is truly spectacular.